All 4 Fun Rentals Birthday Package will take all of the hassle out of party planning! 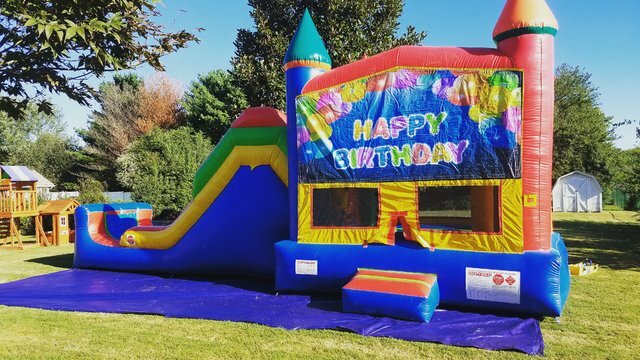 What's included: The 5-in-1 Bounce Combo with slide, Happy Birthday Balloon Banner, Two 6ft rectangular tables and 12 chairs. All you'll need is the Birthday Cake! We can supply you with additional tables and chairs per request at a discounted rate when booking this package. Bring on the Birthday Fun!